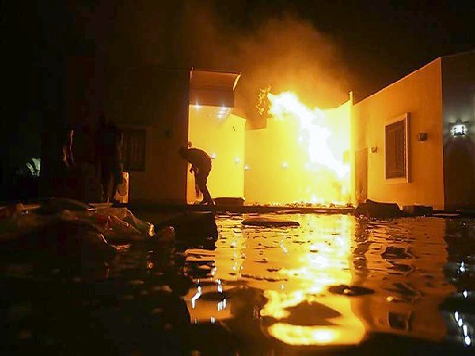 The lily-livered, recreant, pusillanimous Obama Administration, which is in the process of enabling an Islamic caliphate to take over the Middle East, is slowly but surely admitting what the rest of the world had figured out immediately after the September 11 attack on the U.S. consulate in Benghazi: it was, indeed, a terrorist attack. The Administration has been trying to shift the narrative away from the obvious – that the attack was preplanned. I would say yes, they were killed in the course of a terrorist attack on our embassy … We are looking at indications that individuals involved in the attack may have had connections to al Qaeda or al Qaeda’s affiliates; in particular, al Qaeda in the Islamic Maghreb. It appears that individuals who were certainly well-armed seized on the opportunity presented as the events unfolded that evening and into the morning hours of September 12th. We do know that a number of militants in the area, as I mentioned, are well-armed and maintain those arms. What we don’t have at this point is specific intelligence that there was a significant advanced planning or coordination for this attack. Frankly, we are not in a position to speak any further to the perpetrators of this attack. It was clearly a complex attack. We’re going to have to do a full investigation … We are committed to working with the Libyans both on the investigation and to ensure that we bring the perpetrators to justice. The FBI is already committed to assisting in that, but I just – we’re – it’s just too early to speak to who they were and if they might have been otherwise affiliated beyond Libya. What I can tell you is that, as I said last week, as … our ambassador to the United Nations said on Sunday and as I said the other day, based on what we know now and knew at the time, we have no evidence of a preplanned or premeditated attack. It is a simple fact that there are in post-revolution, post-war Libya armed groups; there are bad actors hostile to the government, hostile to the West, hostile to the United States. And as has been the case in other countries in the region, it is certainly conceivable that these groups take advantage of and exploit situations that develop, when they develop, to protest against or attack either Westerners, Americans, Western sites, or American sites. 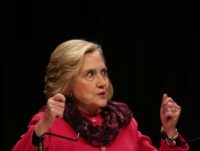 First, I will tell you that based on the briefings I have had, I’ve come to the opposite conclusion and agree with the president of Libya that this was a premeditated, planned attack that was associated with the date of 9/11, the anniversary of 9/11. I just don’t think that people come to protests equipped with RPGs and other heavy weapons. And the reports of complicity — and they are many — with the Libyan guards who were assigned to guard the consulate also suggest to me that this was premeditated. We will keep attacking you with impunity, and you will do nothing. And just like the proverbial ostrich with its head in the sand, you will be ripe for the plucking.